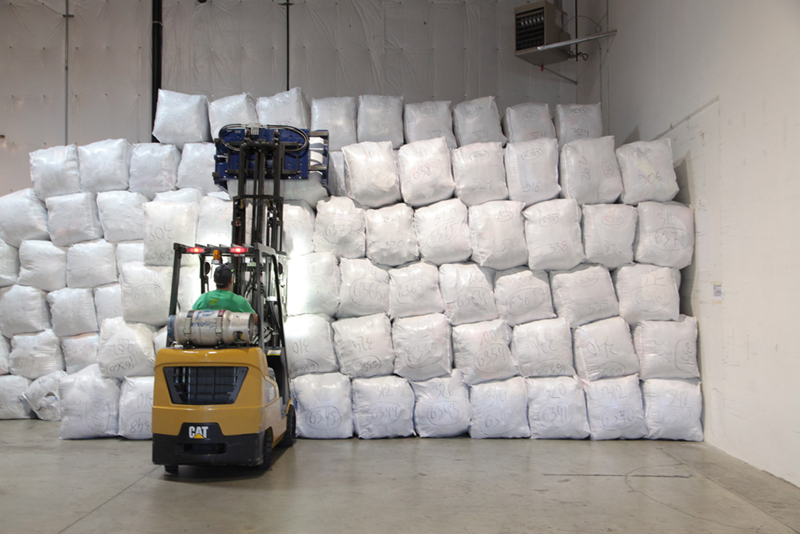 Our experienced teams work hard to provide our customers with excellent shipping services. Our experienced teams work hard to provide our customers with excellent shipping services. GREEN TEAM Worldwide Environmental Group strives to load every container, as well as tractor trailers with care on time. Our well trained and skilled staff maximize the weight loaded on each container and, as a result, decrease our customers’ overall freight costs. 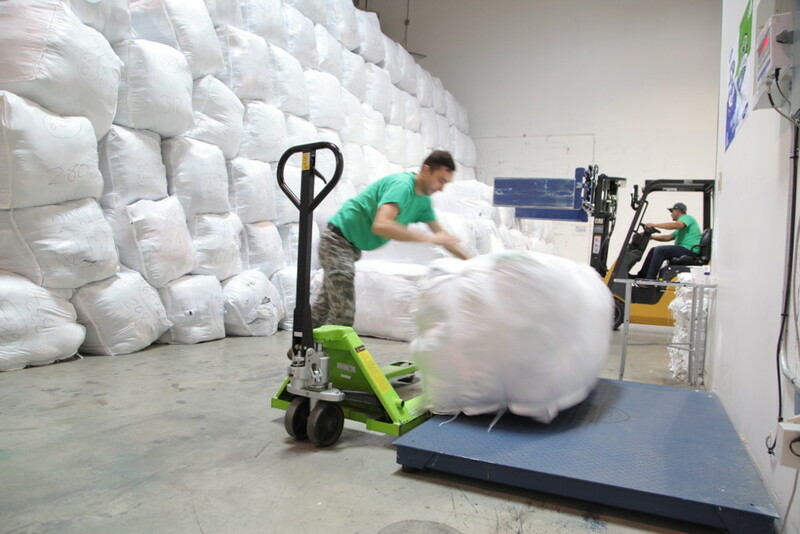 Our 100% UNTOUCHED CREDENTIALS are freshly collected on a daily basis from our clothing recycling bins located in front of supermarkets, town centers, malls to ensure that the best quality is collected. Our credentials are packed in cap sacks in the original plastic bags. The goods consist of clothing, 10-11 % shoes, bags, purses, belts, accessories. The placement of our clothing collection bins is carefully supervised, ensuring the medium annual household income in that area meets a minimum of $60,000. In a 40’HC container we load an average of 43,000 lbs.